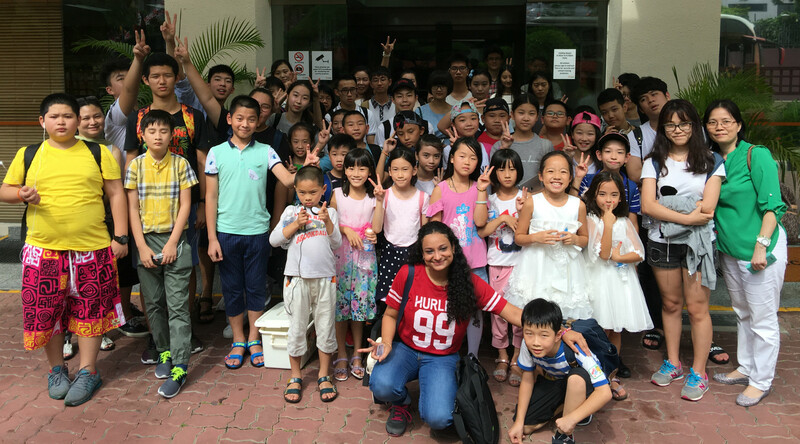 In order to encourage students to integrate into local society positively and at the same time, develop charitable and helpful spirit, Spring College International held the visit to Orange Valley Old Folks Home on 19/08/2016. Under the guidance of the teachers, students form groups based on classes and gave exciting entertainment and talented performances, which included violin solo performance, Uptown Funk english dance, traditional classics singing etc. Vietnamese student sang Vietnamese folk songs, secondary student played and sang English songs with the guitar. This fully expressed the multi-lingual ability of the students. In addition, students also personally prepared small presents to give to each old folk. Orange Valley Home representative Ms Serene expressed full agreement and support of this event and the students also learnt how to care and love. The school will continue to hold such kind of charitable events to build students who are both good in studies and character.